A case study by Kato, Takahara, Nishikawa, and Homma examined the economic incentives and local citizens’ attitudes toward hosting a nuclear power plant post-Fukushima. The study compared local citizens’ attitudes in 2010 and 2011 (pre and post-Fukushima) toward the benefits and drawbacks of hosting the Kashiwazaki-Kariwa nuclear power plant—Kashiwazaki and Kariwa are nearby towns of the nuclear power plant located in the Niigata Prefecture in Japan. The authors note that the Fukushima accident clearly changed the attitudes towards nuclear energy at a national level, which is shown through a national opinion poll conducted in April 2011 by Asahi Shinbun, one of the major newspapers in Japan (cited in the case study). The poll showed roughly 41 percent of the respondents believed that Japan should reduce or abolish nuclear energy usage, a 13 percent increase from a similar opinion poll conducted in 2007 by Asahi Shinbun. 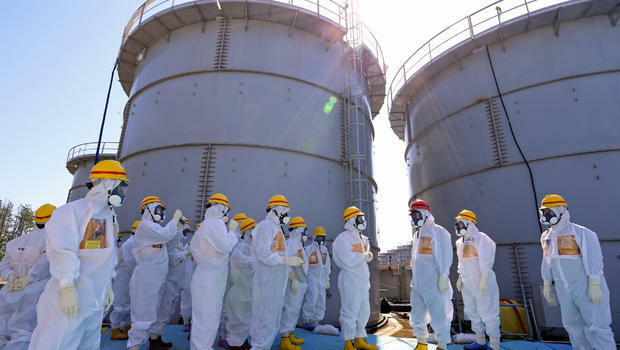 However, the authors also mention the reason they decided to focus on local citizens’ opinion is because they predicted the attitudes of local communities hosting nuclear power plants may differ from national attitudes. Furthermore, the opinions within regions hosting or willing to host a nuclear power plan may have been major factors in nuclear policy decisions because governors cannot simply ignore the regional opinions near nuclear power plants. The researchers used a survey and gathered responses from three towns: Kariwa, Kashiwazaki, and Nishiyama, which are near nuclear power plants. The benefits the local communities received for hosting nuclear power plants were largely economic and social incentives designed to gain support within these communities for nuclear expansion policies and to offset anxiety about accident risks. These included increased job opportunities, various tax cuts, various subsidies, new facilities, social welfare programs, and donations from the company owning the nuclear power plant. When participants were asked about the drawbacks, in 2011 more than 80% responded that accidents and radiation exposure were the cause of their nuclear power plant anxiety, roughly a ten percent increase from 2010; others believed there could be possible radiation exposure during normal operation even if an accident were not to occur, while a small remainder of responses chose “no drawback.” Additionally, when asked whether the drawbacks exceed the benefits or vice versa post-Fukushima, there was a significant shift (5%) towards “drawbacks exceed benefits.” That all said, in 2011 about 20 percent of respondents in all three areas still believed the benefits exceeded the drawbacks, which is surprising considering so many saw radiation during normal operation or after an accident as a threat to their safety. Homma, Takashi, and Keigo Akimoto. “Download PAnalysis of Japan’s Energy and Environment Strategy after the Fukushima Nuclear Plant AccidentDFs.” Science Direct. Energy Policy 62. This entry was posted in Francis Sugita, Nuclear Power and tagged Economic Benefits, energy policy, Fukushima, Japan, Japan Nuclear, Science Direct, Social Benefits, World Nuclear by Emil Morhardt. Bookmark the permalink.